It was like a modern day kampung where many Singaporeans would want to visit. Nice pool for a family. Beautiful gardens. Clean and comfortable rooms and toilets. Good staff. Many good cheap food in just 10 minutes walk. Everything ! Lata Lama is a perfect place. The host is very Nice and helpful. We had excellent time in our beautifull and full equiped house. Thank you so much, we will come back again for sure ! The beds were huge and so comfortable, you could not fail to sleep well,the only place we stayed where the mosquito nets not only fitted properly but there was room to spare. The villa was so homely, and in a fantastic location right by the beach and walking distance to town. The staff were fantastic and could not do enough for you. 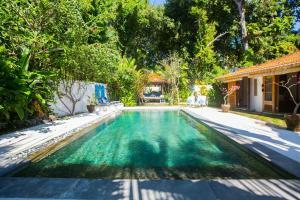 Great size pool and garden, perfect for children and adults alike. It is a beautiful home, though it wasn't well maintained unfortunately. The staff were friendly and welcoming. I absolutely fall in love to the details of interior. Kim has a perfect sense of style and the design of villa is really amazing! Kim and his friends organized for us small grill party with a lot of fun, guitar songs, araks drinking and cooking fresh fish! Plenty of space available to host a party , great feeling / atmosphere , staff were fantastic and lots of privacy over all great service!! The villa looks exactly like what’s on the picture ! Everything!! 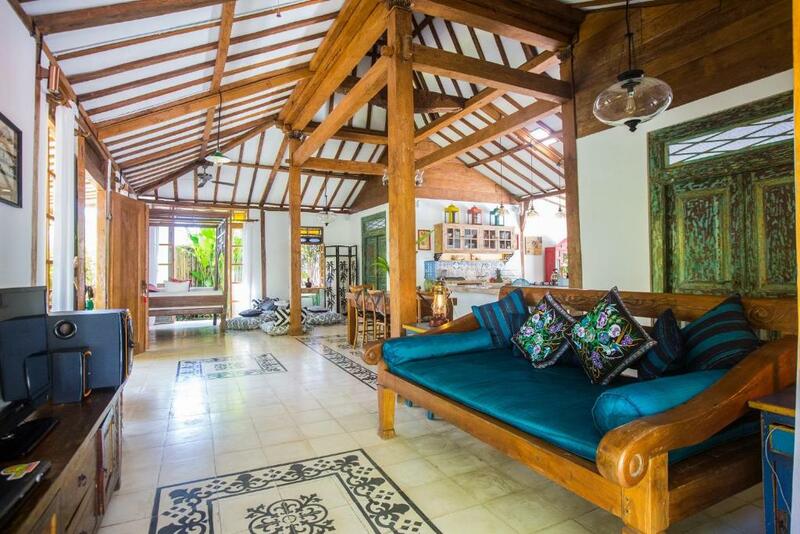 Beautiful designed house, clean with everything on hand, short walk to the beach and the main street with lots of shops and warungs. This place is just a piece of heaven. The house is way more beautiful in life and I could hardly wait for morning when going to the cosy bed to enjoy this place again and again. You feel like you came to friends' house which was superbly maintained and looked after. The cleeness is just top of all we experienced in Bali. The host Seger is an extremely charismatic person with stories to tell. I have no words to describe this place. We will definately be coming back with kids and family. Joglo is just the best place for us from now on in Bali. Lock in a great price for Lata Lama – rated 9.5 by recent guests! 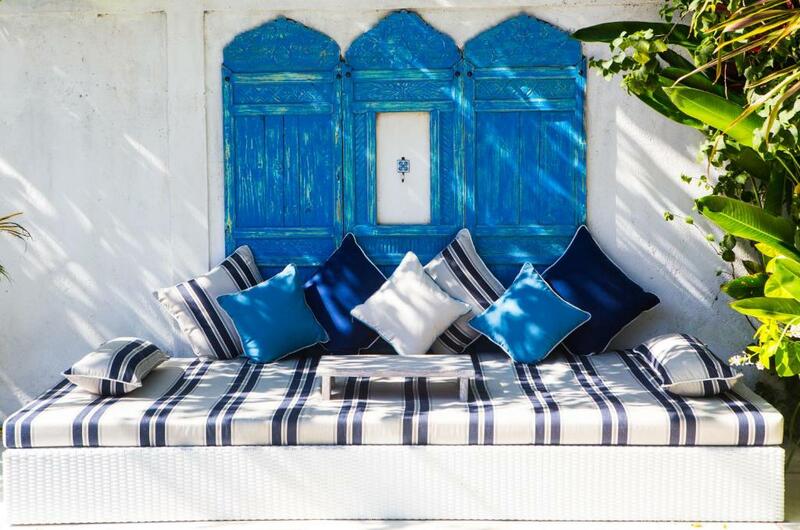 Lata Lama This rating is a reflection of how the property compares to the industry standard when it comes to price, facilities and services available. It's based on a self-evaluation by the property. Use this rating to help choose your stay! One of our top picks in Lovina.Located 3.4 miles from Krisna Funtastic Land and 3.9 miles from Krisna Water Sports, Lata Lama offers free WiFi and units equipped with a kitchen. The accommodations have a hot tub. Offering a terrace, specific units are air-conditioned and feature a dining area and a seating area with a flat-screen TV. A balcony with pool views is offered in all units. The villa offers a continental or vegetarian breakfast. Lata Lama has an outdoor pool. Lovina Beach is a 16-minute walk from the accommodation. 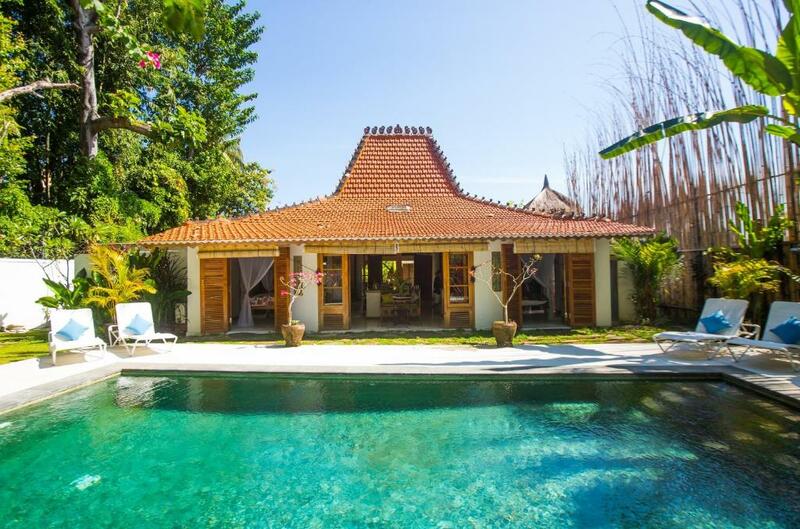 Ngurah Rai International Airport is 62 miles from the property. When would you like to stay at Lata Lama? This villa has a balcony, barbecue and stovetop. This villa has a balcony, tile/marble floor and electric kettle. 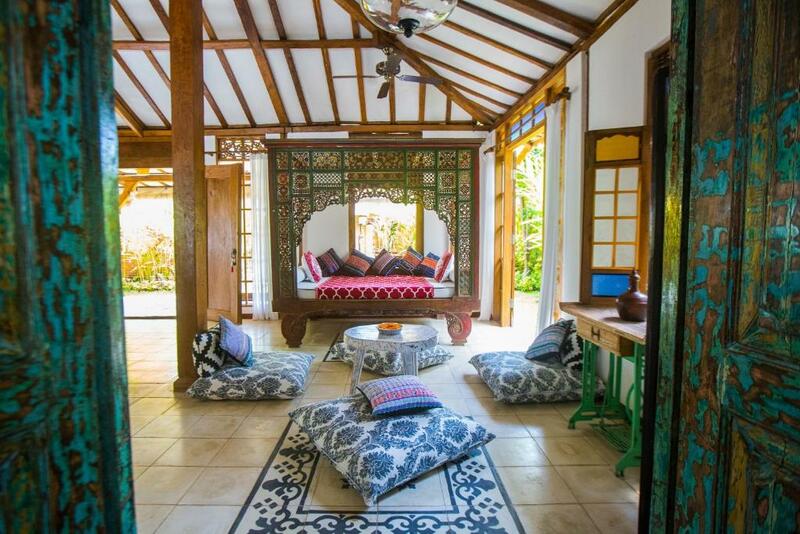 Lata Lama means `A dream come true`is a wonderful light and airy Traditional Antique Indonesian Joglo House.. Lovingly restored to the highest standards of care & craftsmanship to it`s original glory, beautifully decorated with vintage chic interiors & all the comforts of a modern home .. This house has its own character and individual charm. 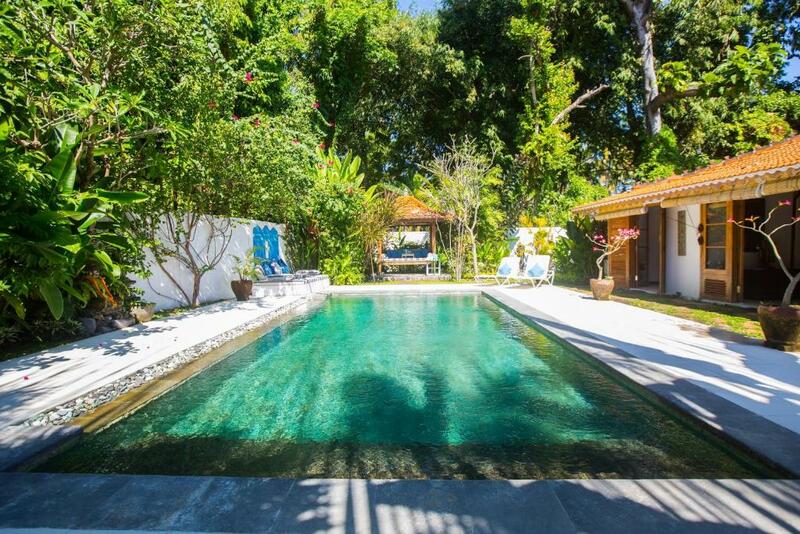 The Joglo is set in its own lush tropical walled garden completely private with its own entrance. 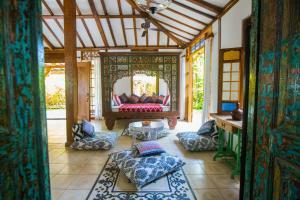 Lata Lama is nestled in a quiet rice field in central Lovina Beach only 300mt from the beach. We provide a great breakfast basket pack for you to prepare in your own kitchen with freshly baked bread, eggs & fruit salad, yogurt & granola. Coffee, Tea , Sugar & Water are complimentry. 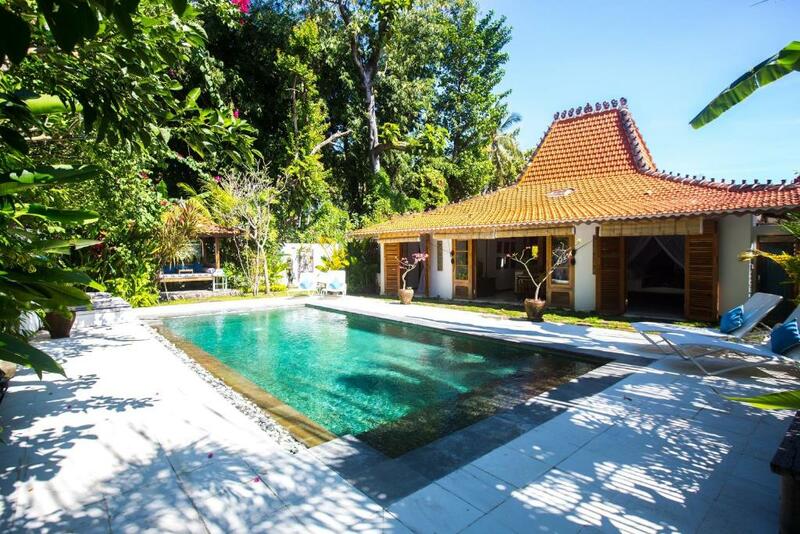 We have a wealth of local knowledge and are happy to help you organise trips, drivers & excursions to the many places of natural outstanding beauty & culture around Lovina. 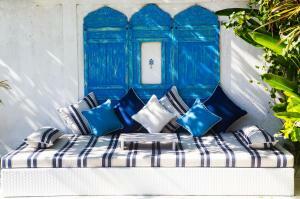 There is a really laid back and family atmosphere at Lata Lama, Make you selves at home , relax and enjoy ! We hope that you love Lata Lama as much as we do . 1 min walk through the rice filed in front and you are on the beach. Lovina beach is surrounded by many waterfalls , lakes , hot & cold volcanic sprngs, mountains , temples and many places of outstanding beauty around Lovina. Great diving and snorkelling,trekking, yoga , restaurants and bars all close by. This is the "real" Bali. Easy to walk into central Lovina either on the beach or road. We can arrange transport if you are feeling tired..no problem . House Rules Lata Lama takes special requests – add in the next step! Lata Lama accepts these cards and reserves the right to temporarily hold an amount prior to arrival. Please note that this property requires a prepayment in order to secure your reservation. The property will send an online payment link for quick and secure payment. Please note that credit card is only needed for a guarantee and it will not be charged. Please inform Lata Lama of your expected arrival time in advance. You can use the Special Requests box when booking, or contact the property directly using the contact details in your confirmation. The only thing we didn't like was that we couldn't stay longer. I believe we‘ve arrived in paradise!!! The property was not well maintained during our stay. High winds on the night of our arrival caused a great deal of debris to fall into the pool, surrounding pool area and both bathrooms which are open to the outdoors. We fully expected these areas to be cleaned once the wind had died down on the afternoon of the second day but they were not seen to at all. The pool remained unusable for the rest of our stay due to leaf litter/biting insects and the bathrooms remained uncleaned. The property is also quite close to the main road and therefore very noisy in the mornings. We were really dissapointed about 7 eggs on each breakfast for 4 persons. It was hard to assign 7 eggs on 4 persons. the really bad thing about this place is that you do not want to leave it. after staying at Lata Lama our expectations for other hotels/villas in Bali are set pretty high. Gecko. He comes once in a while in the night and woke us up. It is advisable to rent motorbikes if you want to go to restaurants/shops. 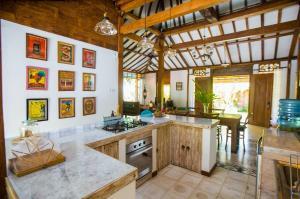 Very nice house, well decorated with friendly staff 24/7 available but not in the house. The location is not ideal. 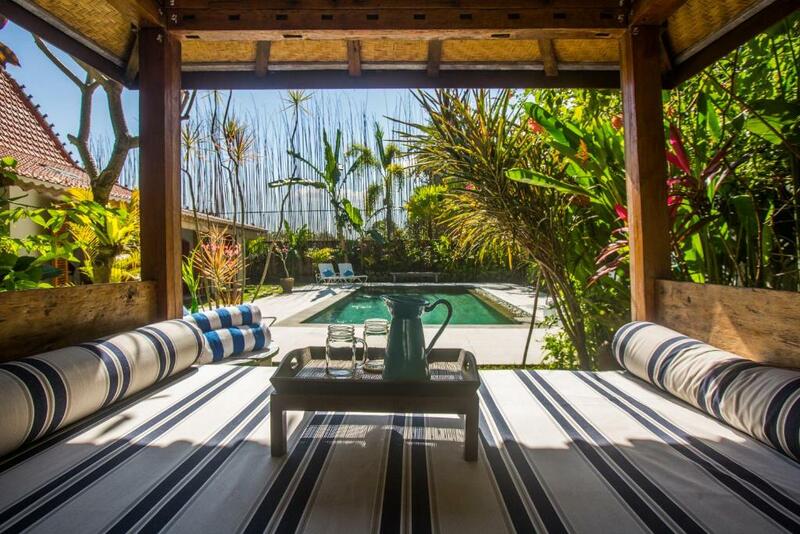 The property is of superb design and layout with interior decoration to match.